Since our last newsletter, the UK went to the polls and animal welfare was a major issue for voters. But you do not need to wait for an election to help animals. Here are ten ways you can vote for animals any day you like. Can you believe that some cosmetic companies STILL test on animals outside the EU? Vote with your wallet and choose compassion over cruelty. It’s actually a lot easier than you’d think! And as a bonus, you’ll avoid nasty chemicals in your home. Check out the Handbook of Homemade Household Cleaners for dozens of recipes. Got some spare time and want to ramp your animal advocacy up to the next level? Drop us a line if you’d like to volunteer for Naturewatch Foundation. Puppy farmers and their dealers lie and coerce people to buy puppies from them. Help someone avoid buying from a puppy farmer. Keep an eye out for signs of badger crime, and report it to the Badger Trust. Ask Google to celebrate World Animal Day (October 4) with a Google Doodle. Here are some tips to get started. By encouraging a child to respect dogs you could save both their lives. 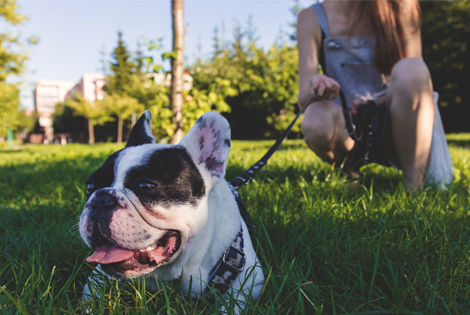 Download our dog safety awareness guide as a starting point. We’re blown away by how many vegetarian and vegan options are available these days! Check out this list of mainstream restaurants offering meat-free alternatives and try something new next time you’re eating out. Write to the election candidates in your constituency and ask them to be a voice for animals within their party. In the lead up to elections they’re extra keen to hear your view… and you never know what you might achieve! Here are a few topics to discuss with them.